SolidAT have launched an innovative and exciting new product, the GaugerGSM. 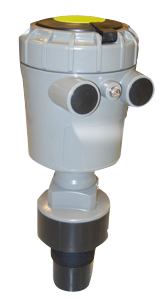 GaugerGSM is unique in providing user benefits unseen before in one level measureing device applicable in many applications. The system is targeted towards the need for early warning of unusual conditions and goes beyond the normal approach of alarms set at predetermind levels. GuagerGSM is a scaleable solution that can provide SMS text reporting to a single mobile phone or as part of a large wide area network of measurement points spread all over the world. By embedding a GSM modem chip within the level meter and by applying application specific firmware, SolidAT presents a unified and highly cost-effective solution.